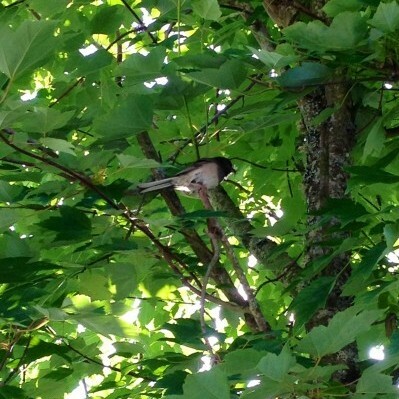 Spring Birdies, a guest post! I’m excited to introduce a new part of Girl Has Thyme: Guest posts! There are a few reasons for this. First, I think successful blogs have frequent posts and I don’t post as often as I’d like. Second, I have friends across the country with different garden experiences and I want to hear about them. And finally, I’d like to make the site a little more interactive. So if you have any garden experiences to share, please email me! 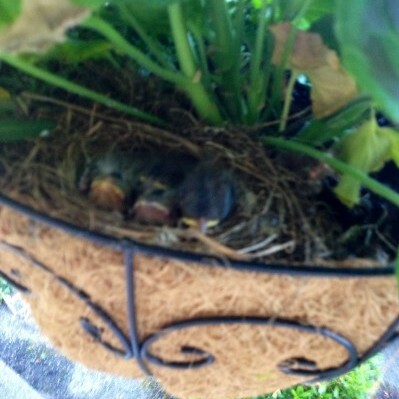 Every year a bird nest appears in one of our hanging baskets. Sometimes we see the baby birds and sometimes they go from tiny eggs to off on their own before we get a chance to sneak a peek. 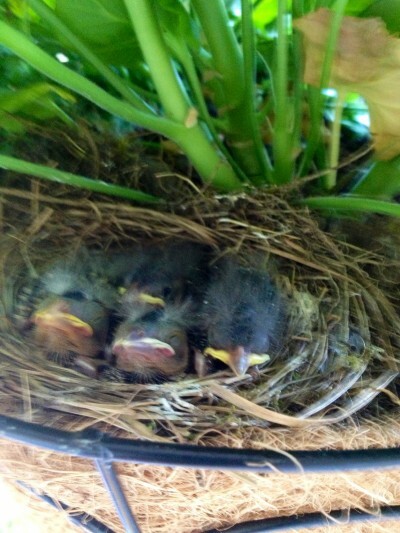 This year we were lucky enough to see the babies before they left the nest! The babies have already grown so much! These pictures were taken four days apart. One has already left! We were lucky enough to see it fly away! 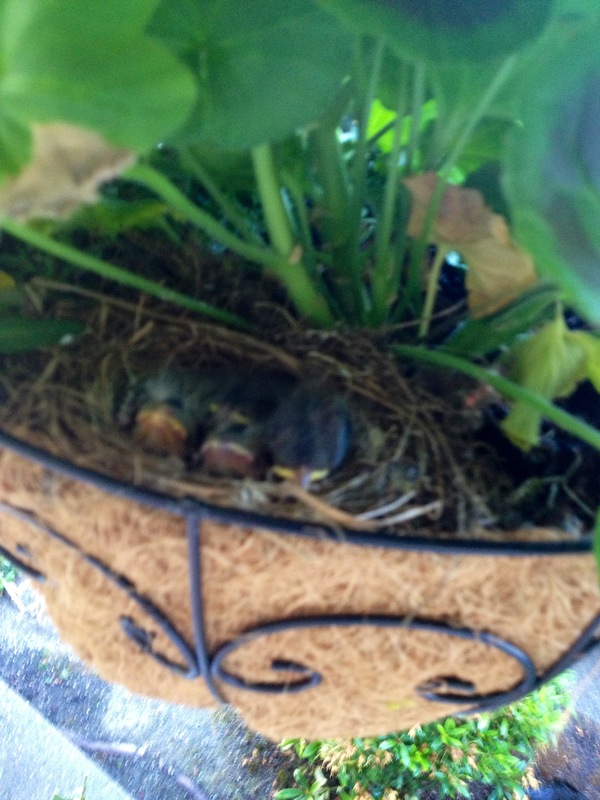 We’ve been keeping a close eye on the nest, but not as close as the mama bird. She’s always nearby in the tree at the end of our porch. Watering tip: If you are lucky enough to have a bird family make a home in one of your baskets (which is common according to many bird watching sites), a tip for watering is to place ice cubes in the basket on the opposite side as the nest. They melt slowly to water your flowers, but don’t disturb the nest. We love watching “our birds” through the window as the mama comes and goes. It’s so fun for everyone in the family to see! This is so sweet and pretty special you caught them when they were so tiny. 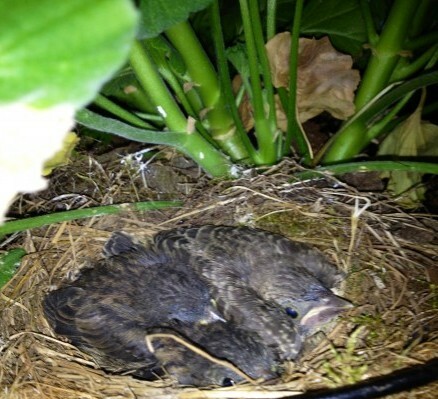 I’m going to have to start checking my hanging plants more carefully – great idea to water with ice away from the nest!